Launching a freelance website is super simple. I promise. Thanks to WordPress, you can easily DIY your freelance website and end up with a perfectly polished final product that not only looks great, but sells your services. And that’s what the freelancing game is all about, right? Right! But first things first, since this is a no-fail beginner’s guide, let’s look at what freelancing is and whether or not you’re ready to get started! An estimated 1 in 3 Americans are freelancing for at least some of their income. That number is pretty impressive! My own mother who, at 50-something, found freelance success after launching a content writing side hustle several months back is a testament to how diverse freelancing is and how it makes sense for a lot of people with different backgrounds and in financial situations. Remember, anyone can find success freelancing — baby boomers to millennials and everyone in between. If you’re ready to put in the work, you can earn extra money, supplement your income, or go full-time — it’s really up to you! So, if you’ve been curious about this whole freelancer lifestyle that lets you work independent of location, create your own schedule and set your own pay — I can’t blame you! It really is a great way to earn. And you’ve probably heard of all these people finding tons of success freelancing. Some of whom smash their previous incomes at their 9-to-5 while working a fraction of the time as a freelancer. And honestly, that really can happen. But it’s not always easy. One of the best ways to get to that point is to set up your own freelance website. What the heck is a freelance website? Why the heck do I need one? What is a Freelance Website? In a nutshell, your freelance website is the place you’ll showcase you and your work. It’s the one-stop shop you can send clients to learn about you and the services you offer as a freelancer. A freelance website also gives a client a chance to see your personality, connect with you on social media, and otherwise get a feel for who you are without having to meet face to face. Think of your freelance website as your digital business card — but elevated. It will contain all the relevant information clients need to get in touch with you, yes, but it will also show them how awesome you are. When done right, your freelance website can sell your services for you. Period. Why Do You Need a Freelance Website? Whether you’re pitching your services to an ad posted online or are cold emailing someone who would benefit from your services, you’ll want them to be able to see what makes you so great. Sure, if you’ve worked before you could send them links to your stuff all around the Internet — but this in inefficient. And chances are, potential clients won’t take time to visit several different websites. But, if you condense everything — your resume, portfolio, rates — into one easy-to-navigate site that is all about you — well, then, clients are more apt to stop by, check you out, and get in contact. Plus, it looks perfectly polished and professional — definitely the message you want to send out as a freelancer, especially when just starting out. 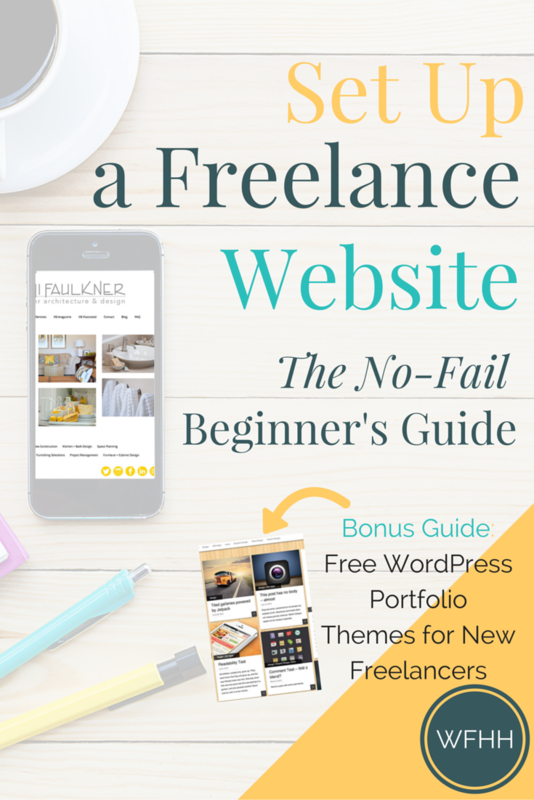 Since this is the no-fail beginner’s guide to setting up a freelance website, it’s probably a good idea to start at the VERY beginning. So, my first question to you is: What are you selling? Now, if you spend any time here at Work from Home Happiness, you’ll know I’m always preaching about the power of a niche. A niche can apply to just about any online business whether it’s service-based, like freelancing, or selling physical products on Etsy, eBay, or Amazon FBA. A well-defined niche can make your life a lot easier as a freelancer. And easy is what we’re all about, especially when you’re a beginner. Your niche will help you fine-tune your services just as much as it will help you figure out how to market your services to potential clients. But a niche also establishes you as the go-to expert in your field — even if you aren’t quite an expert just yet. Think about this. Let’s say you want to be a web designer. That’s great! But what kind of web design will you do? If right now you’re thinking, I’ll design anything for anyone, I’m here to tell you, right enthusiasm, wrong approach. How so? Think about it from the client’s perspective. Let’s say a lawyer needs a new website. 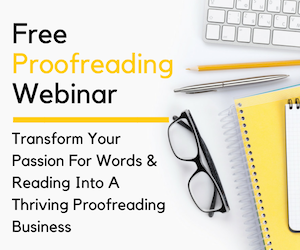 So, she hops online and comes across your freelance website, which promises killer designs for all professionals, and a competitor’s freelance website which boasts web design specifically for lawyers and legal pros. You, who doesn’t specialize in any particular area? If you’re being honest, you’d probably go with the freelance website with all the great legal web design work on it, right? And so will clients. People like to work with others who are perceived as experts — and selecting a narrow niche to start will help you look like an expert. Another major perk of picking a niche is this: You can more easily find your clients and market your services to them. So, let’s pretend you’re a content writer. And you’ve decided you want to write web copy that sells within the wedding industry. Awesome. Now that you know this, you know where you can find your clients — chances are they hang out on visual social sites like Pinterest and Instagram. And this means you can make sure you are very active on these sites too and even connect with and follow potential clients on these networks. Then, when the time comes, you can approach them, strike up a friendship, and eventually pitch them your web content writing services. Have I convinced you of the power of a niche? I sure hope so! Trust me when I say, a niche will make it easy for you to build a stellar freelance website and will help catapult you to success early on. So do yourself a favor and pick a niche! Now for your freelance website, there are a couple of ways you can go with your domain name: You could simply use your own name OR you could come up with a creative/clever/fun domain name. My advice? Go with your name. You are, after all, your freelance business. It’s a good idea to have your freelance website reflect this. Now, if you have a common name, like me, you’ll want to pick up a backup name. There’s few more defeating feelings than going to buy your domain name only to find someone else owns it. Bummer. But if you already have a backup name picked out, the sting is less painful and you can quickly move on. So, let’s say your name is John Smith. You’re a logo designer. Awesome. But you discover that JohnSmith.com is taken. You might want to try: JohnSmithLogos.com or JohnSmithDesigns.com or JohnSmithLogoDesigns.com Get it? As long as you’ve got your name in there and reference to what it is you do, you’ll be fine. Really, you’ve done a lot of the hard work already — defining your niche and picking a domain name is not always an easy undertaking. So, you should be happy that you’ve made it this far. But now it’s time to get you hosted. I know it can get confusing when thinking about domain names and hosts. Have you ever paid to park a car you own in a parking garage or car lot? That’s kind of how a host works. You have own your domain name. But you need somewhere to “park” it. Without a host, your domain can’t get seen. Picking a host is a pretty important consideration. It will make all the difference in how much you pay, the support you’ll receive, and the ease of use. My recommendation? BlueHost. No hidden fees. 30-day money-back guarantee. 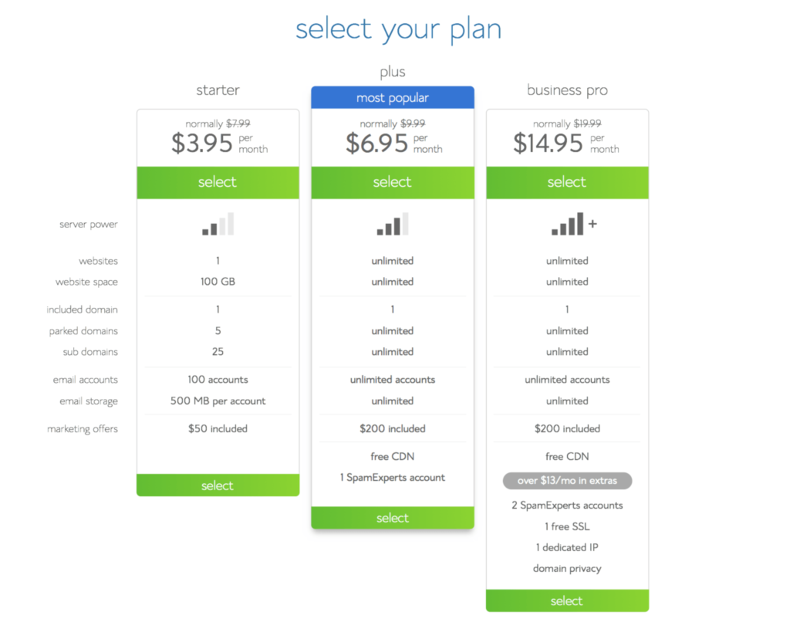 Now that you’ve selected your plan, it’s time to snag your free domain. This is when you get to see if your first choice domain name is available. If it is — great. But if it’s not, don’t sweat it! Remember, that’s why we thought of several backup domain names — just in case. Just type your desired domain name, for example, YourName.com in the first box and click next. If it’s unavailable, they’ll let you know and you can go with one of your backup names — no problem. After you carefully select the domain name you want (woohoo! ), you’ll need to provide BlueHost with your contact information. Verify that all information is correct — the email address you provide will be the one BlueHost uses to send you important updates and information! 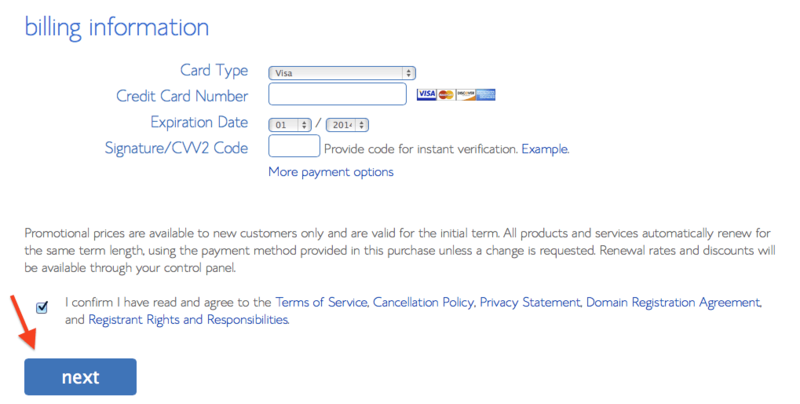 Now you’ll select your package information as seen on the screenshot below. Note: By default, the 36-month plan is automatically selected. This is the most affordable option. But you can also opt for shorter terms to start! You’ll also see options to purchase things like SiteLock Domain Security, Site Backup Pro, and Search Engine Jumpstart. My advice? You don’t need them. There are free WordPress plugins you can use to secure your site, back it up, and make it search engine friendly. I use such plugins on Work from Home Happiness and am quite happy with how they work! Now, the one thing I do recommend is Domain Whois Privacy for $9.99/year. Every domain that is purchased needs to be registered. And part of this registration is providing contact information for the owner (you). This means your name, address, and email address can end up in this massive database that can be mined for personal data. We’re almost there! You’ve selected your domain and your hosting options, now it’s time to make it official. Just put your billing information into the secure form, read through their terms of service and policies, and click the next button. That’s it. You’re officially a freelance website owner and have your very own slice of the Internet — congrats! Now you’re probably ready to get your freelance website up and looking great. No problem! 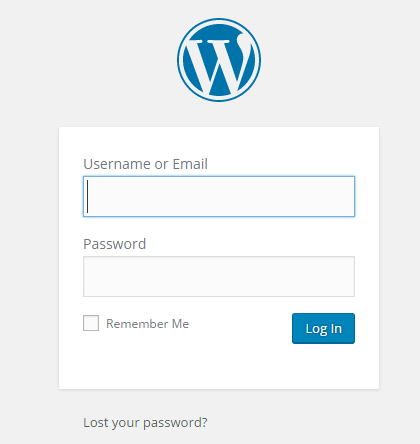 As I said, it’s easy peasy and doesn’t require any previous WordPress knowledge. The screenshot below is your cPanel through BlueHost. 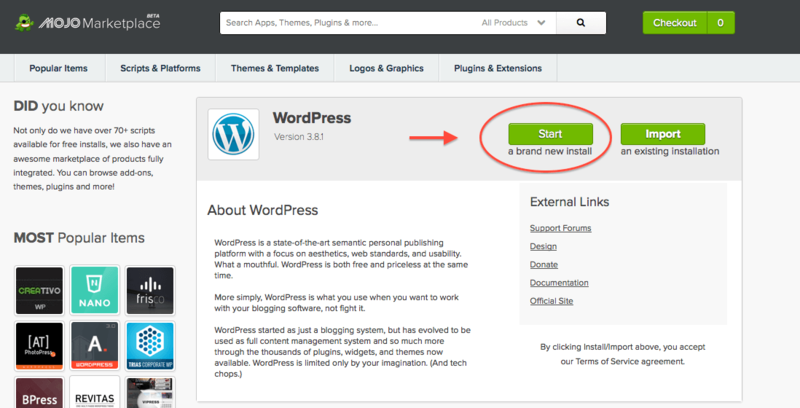 This is the spot you’ll need to be to start installing WordPress. See the blue “install WordPress” button under the website builder heading? Click that to get the installation process started. 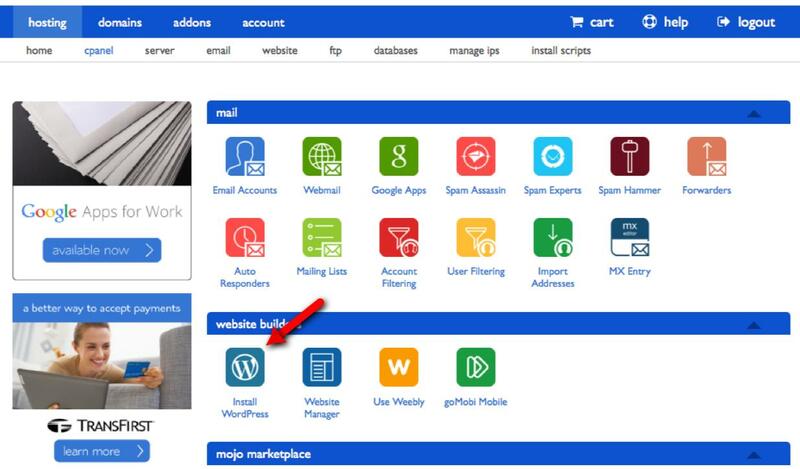 You’ll be directed to Mojo Marketplace. Just click the green “Start” button for brand new installs. Click the “show advance options” so you can name your site and choose an admin username. You can name your site anything you want — I always just go with the domain name. So, just put your name here. For the admin username, you could also use your name or your email address, whichever you’ll remember. This is where you’ll get your admin password too — write it down! Or better yet, take a screenshot of it with Evernote and save it for safekeeping. 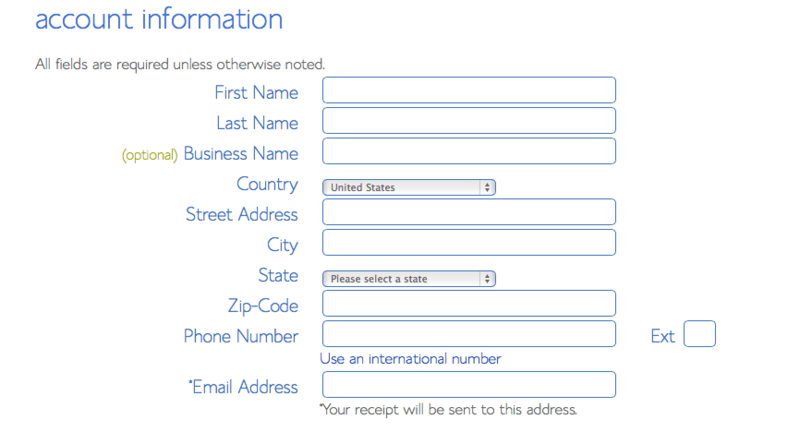 You’ll also get an email with this information — but it’s a good idea to save it from this screen, just in case. Once everything is good, make sure you’ve read the terms and conditions. Then click “Install Now.” That’s it. 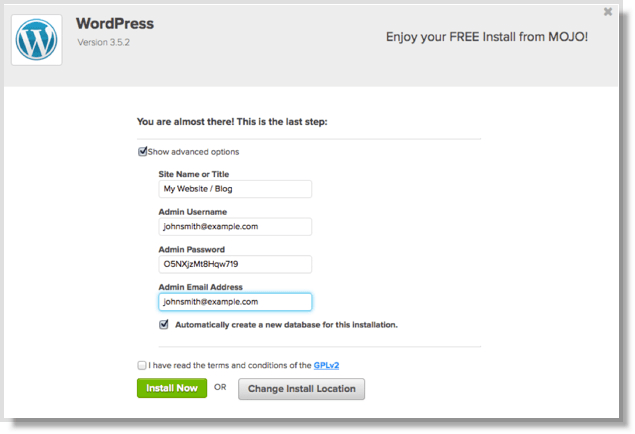 This little install screen will pop up and you’ll be the newest member of the WordPress community — congrats! This is where you’ll go anytime you login to your freelance website. Remember, your username and password were created in the previous step — this is where you’ll put in that information to make changes to your site! After you login, you’ll be in your dashboard. 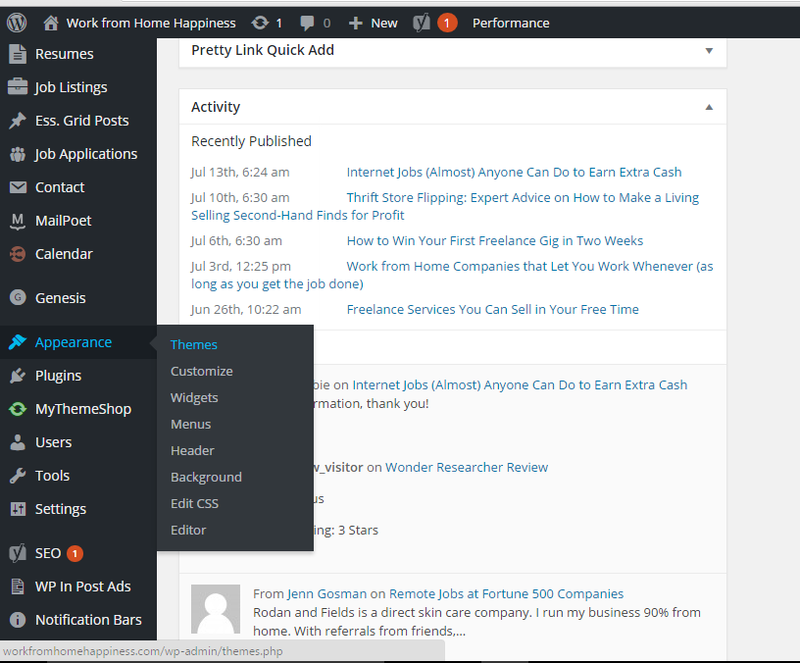 This is where you can add posts and pages, install plugins, and change your theme. Now you’ll get to search through themes! And this is the fun part as each theme is so different. You’ll get to choose one that perfectly meshes with your own personality. In the search box, type “portfolio” and have a look around. You can “try on” different themes by clicking on them. You’ll be directed to a preview of the theme. If you like what you see, great! Click the blue “install” button to activate that theme on your freelance website. While this process of trying on different themes can be fun — it can also get overwhelming! Too many choices can make it difficult to settle on one. That’s why I created a roundup of the best freelance website themes around. 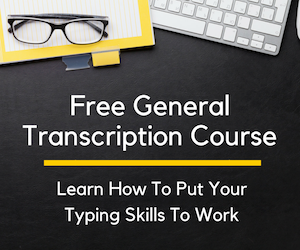 To gain access to the guide, sign up to the Free Resource Library below. Congratulations! You’re now an official member of the freelance club! For a little extra inspiration, check out 4 Client-Attracting Freelance Websites and Top 10 Vital Elements of a Successful New Freelancer’s Website. 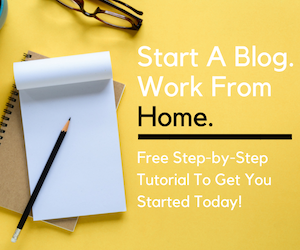 As always, if you have any questions, don’t be shy: ashlee@workfromhomehappiness.com I’m here to help! It’s a very informative article to start a freelance website. There are many wordpress themes available but i will suggest Freelance Engine. Thankyou Ashlee I enjoyed reading this article and will be going through the steps for my Freelance Website soon!! I plan to choose a part of the medical field as my niche.